OH NO Volcano! is officially out! Hope you guys enjoy it! 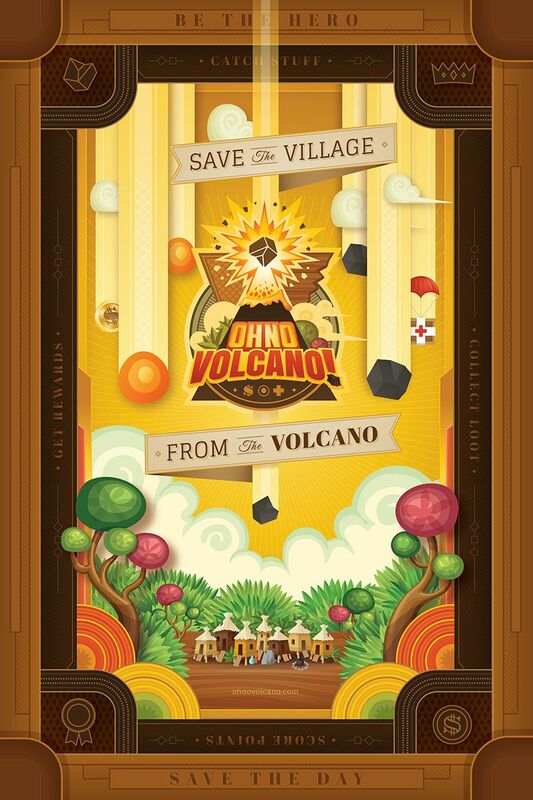 Just wanted to share our new iOS game OH NO Volcano! a fun little arcade style physics game. Tilt your device to control the net and catch projectiles as they file out of the volcano at a hapless village. See how long you can hold out against the increasingly angry volcano. Keep the point multiplier high, and beat your friend's high scores. In addition to the main game there's also rare loot to collect. A collection of geek paraphernalia of all sorts these rare items are a homage to nerd culture and old school gaming. Last edited by Dlange on Wed Mar 25, 2015 5:45 am, edited 1 time in total. Nice work Dlange. I like the art style. Yeah looks really nice. How many of you guys are working on this? Thanks. I'm doing design and a friend is on code. Just wanted to say, i absolutely love the look and feel of your game, can't wait to play it! Thanks BlckHdGrl, check out our pinterest page for more promo art. Just wanted to announce that OH NO Volcano! is officially out on the app store! Check it out!